Ann is Voice UI/UX Leader at Sound United, and is pursuing her dream of understanding how people use speech and natural language to communicate with each other and with technology. 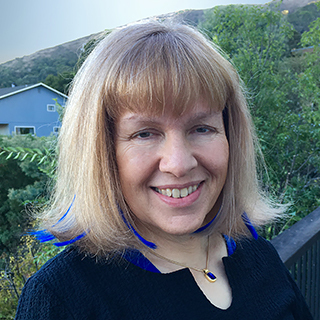 She has designed, researched and analyzed voice and multi-modal interactions for 25+ years in product development and services organization, and holds a PhD in Linguistics and Cognitive Science. Intrigued by the current explosion of intelligent voice assistants and how to be part of it all? This is a highly interactive workshop with hands-on exercises for anyone wanting to learn about user-centered Voice UI design. We'll cover the concepts behind voice as a modality, you'll learn how to identify what matters when designing a conversational dialog and see the impact of your design decisions on user success when testing your design with a low-fi prototype. In the process, we'll cover the importance of "voice-first", pros and cons of voice testing, and how to find user data that's relevant for voice. Anyone with an interest in voice/speech automation. You need no previous experience - and it's ok if you have some. The focus is on underlying methods and best practices, not on building voice apps for a specific platform. Bring something to write on & with for designs, minimally pen & paper. Preferable: bring your laptop running something that let's you create simple flow diagrams (e.g. Balsamiq, Visio). If possible, download one of the text-to-speech voices that lets you play highlighted text. (On a Mac, look in preferences for Speech or Accessibility). And bring your curiosity and questions, and learn about voice UI/UX from my years in the voice industry.